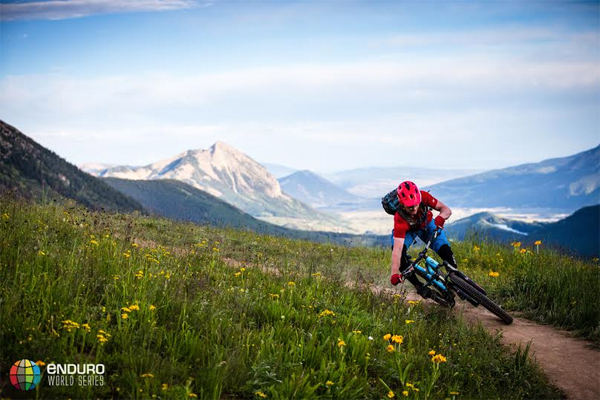 Crested Butte holds a very special place in mountain biking’s history, so it seems only right the Enduro World Series should head there for round five - the Yeti Cycles Big Mountain Enduro presented by Shimano. Steeped in mountain biking folklore, Crested Butte remains one of the sport’s most iconic and celebrated locations. The area’s high mountain ranges have played hosts to legends of cycling since the 1970s, when the sport’s pioneers would traverse Pearl’s Pass on the first true ‘mountain’ bikes. Technology may have moved on, but Crested Butte’s enthusiasm for bikes has endured, and so it seems fitting the first North American round of the year to head to the sport’s spiritual home. This weekend’s three day race is the most remote and challenging event in the series’ history. Offering the 300 riders taking part a true back country experience, the race will see entrants heading deep into the remote mountain ranges that flank the town for the adventure of a lifetime. With 12,000 feet of altitude to contend with, this weekend’s race will be one of the most tactical of the year - the big climbs and long stages will undoubtedly take their toll on both riders and bikes. And at just past the halfway mark in the season, the points battle is really hotting up. Just 60 points separate the top three men, with Justin Leov just ahead of Florian Nicolai in second and last week’s winner Richie Rude in third place. In the women’s competition Tracy Moseley is way out front, and with her main rival Anne Caroline Chausson sitting out the next two rounds due to illness, her series lead looks pretty safe. However, both Cecile Ravanel and Anneke Beerten have the potential to cause an upset - as does young French rider Isabeau Courdurier who has been going from strength to strength this season. But if you want to really see who’s having a great season, try out the new Enduro World Series Results Analyser. This new service allows you to compare individual rider’s cumulative times and stage wins. For example, did you know although Justin Leov leads the overall series in points - Florian Nicolai actually has the fastest cumulative time? Or that after four rounds of racing across two continents, the cumulative time difference between first placed Florian Nicolai and second placed Richie Rude is just 17 seconds? And despite sitting fourth in the ranking points, Fabien Barel has actually won the most stages this year. It’s a great performance indicator as we head into round five and definitely worth checking out before racing starts this Friday. Enduro World Series Managing Director Chris Ball said; “This weekend is our most ambitious event to date. It’s a backcountry adventure that is so much more than just a race. Riders will be spending three days on some of the most beautiful trails on earth. The stages are really fun but the liaisons are mind blowing too - they’ll be transitioning through the most famous wildflower meadows in North America whilst taking in panoramas of the Rocky Mountains from their vantage point at 12,000 feet." “However they’ll need to stay focused if they don’t want to be caught out by the altitude and the every changing weather conditions. And as our new results analyser proves, the competition has never been closer or fiercer. It’s such an interesting addition to race coverage - the points battle is really only half the story - it’s going to really shake up the way people view the competition."